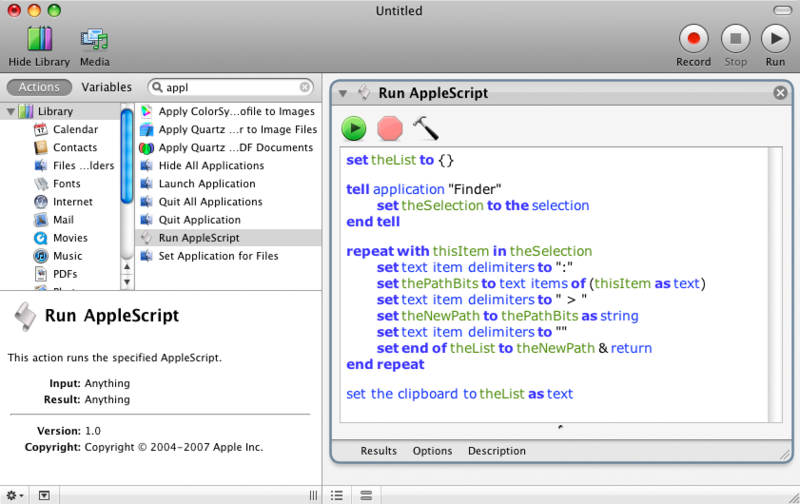 This entry was posted in applescript, automator, OS X and tagged applescript, automator, finder, how to, Mac, OS X, OSX, tutorial by macgrunt. Bookmark the permalink. I was hoping this would work – very useful idea. 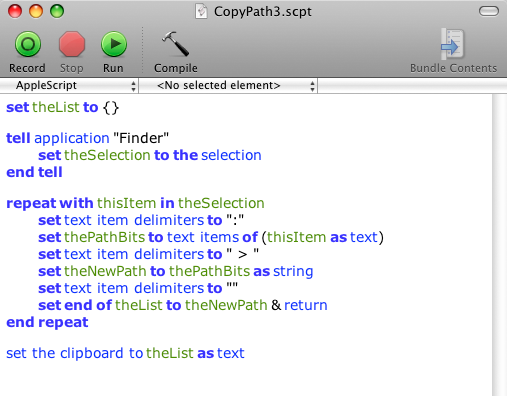 However using AppleScript Editor (2.2.1) when entering the code and compiling – for some reason the 5th line of code – returns “times” at the end of the line after theSelection. It does compile without error – but creates a Run error – “Can’t find selection”. Maybe it’s just a glitch – I checked for typos. Sorry I see you wrote this back in 2011. Looks like I’ll need to rework this post. I have a working version of this script that I use all the time.